We, at Rainbow, will observe Mennonite World Fellowship Sunday on January 26. What is Mennonite World Fellowship Sunday you ask? Every year, on the fourth Sunday in January, Mennonite World Conference encourages congregations to celebrate our worldwide Koinonia. Why January? Well, on January 21, 1525, the first recorded Anabaptist baptism took place in Zurich, Switzerland. As Sunday draws near I have all sorts of questions swirling in my mind. Here’s just a few: How do we celebrate the world-wide Mennonite church while recognizing that Mennonites aren’t the be-all-end-all? And how do we celebrate our international and/or cross-culture experiences and connections while being honest about the conflicts and differences that make our relating across cultures difficult at times? And finally, as a new pastor I’m wondering about this congregation and our collective and individual experiences with the global Mennonite Church. All this has prompted me to try something new on Sunday. As the sermon, I plan to facilitate some conversation and story-telling around this theme of a beloved, worldwide Mennonite community. I will start by asking some general questions such as, “Who here was born outside the United States?” And “How many of us have served, studied or lived abroad for more than a year?” I will then focus some questions on our global connections in the Mennonite Church. Of course I realize that many of us have rich international or cross-cultural connections that reach far beyond the Mennonite Koinonia. I see this Mennonite focus as a starting point for broader sharing and reflection on how we relate to our world-wide community. Finally, I thought I’d highlight one of our church’s connections to the worldwide Mennonite community. Seeing you all over the holidays was amazing, thank you so much for the warm welcome and wonderful support. I made it back to Guatemala in early January literally being chased out of the US by the descending Polar Vortex. (it was fascinating to arrive in Guatemala City where it was mid 60s and everyone was bundled up like it was freezing). Work is going well. 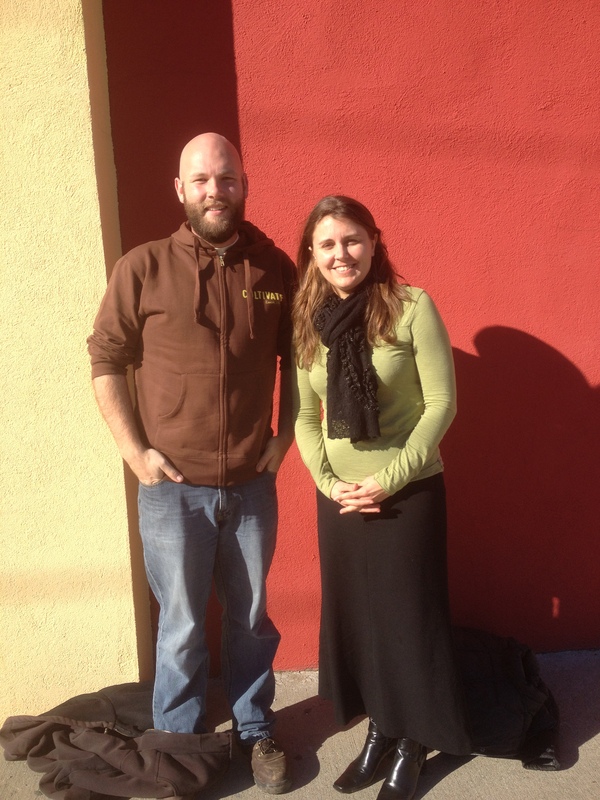 We are bringing the current MCC grant to an end and are in the process of writing a new one. My main responsibilities over the last 6 months have been helping manage the existing project as well as helping write the new proposal. Apart from that I have been working with the local tourism cooperatives and the agricultural cooperatives to help them with some organizational issues and business planning. Since that does not yield itself to pretty pictures I am going to include pictures from the events that my coworkers have planned. 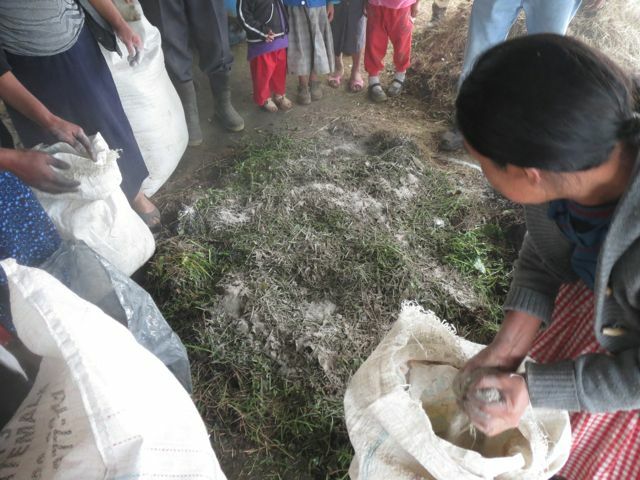 Here (above) the members of the La Linea cooperative are making an organic fertilizer called Bocashi, which is fermented manure, grass clippings, and compost. Learning how to make these types of fertilizers is an important part of the agro-ecology work that we do supporting food sovereignty and reducing the use of agro-chemicals. 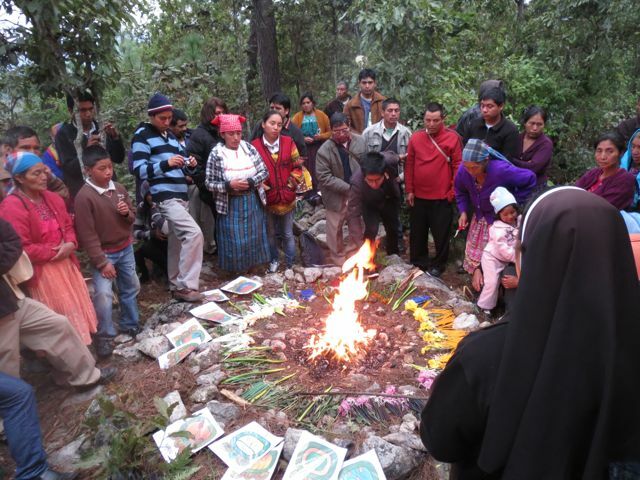 Here (above) is a Mayan prayer ceremony that was held at the agro-ecology conference that the Catholic Dioceses held this fall. Reconnecting the local people to traditional Mayan knowledge and spirituality is a big part of what my partner agency does. A big reason for this is that it gives local communities pride and a reason to fight for their rights against the large companies that want to displace them for gold mining and hydroelectric dams. This is also the kind of work that got us labeled a “terrorist” organization by a rightwing political party in Guatemala. This past November I had the privilege of hiking to the top of Volcan Tacana, the second highest mountain in Central America. Sibinal where I live is located on the slopes of this volcano and climbing it is a big tourist attraction in the area. 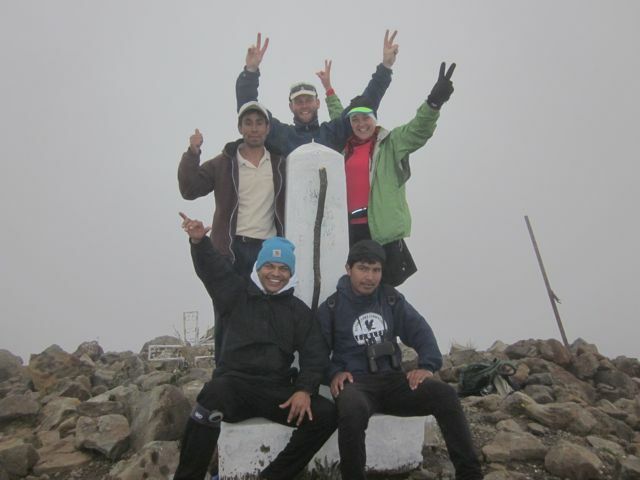 In this photo with me are Roman Bartolon (baseball cap to the left of me) our guide from one of the cooperatives that I work with, David Mercado (blue hat) a friend and fellow MCCer visiting from Nicaragua, Napoleon Zunun (with binoculars) my host brother, and Lilian Guenther (green jacket) a friend and fellow MCCer who just left Guatemala to move back to her native Paraguay. 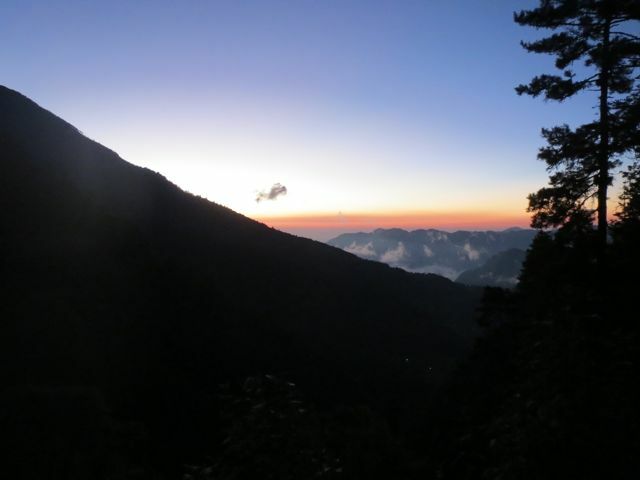 I leave you with this amazing view of Volcan Tacana as the sun sets behind it. This was taken at the midway point in my commute, which is a 3hr hike. This hike that I have to make is actually a great allegory for my experience here in Guatemala. Just like this hike, living and working in Guatemala has not been easy over the last year. My job has not been what I expected and connecting to the community is a challenge, but there are glimpse of beauty and reasons to continue. My host family and coworkers have been wonderful, I love the scenery and that I get to walk every where, and I am learning a ton about the world, myself, and God. Thanks for the prayers and support that I get from you all.